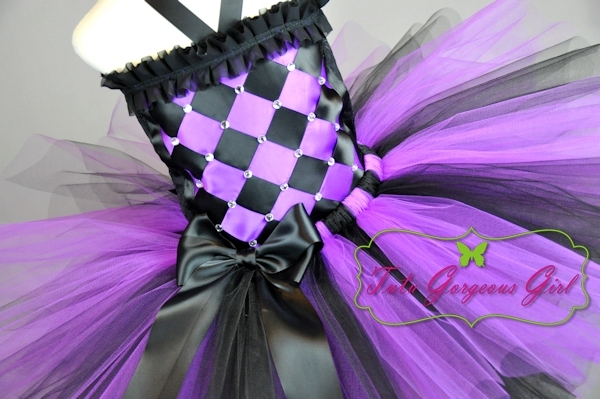 Girl's Black and Purple Diva Birthday Outfit. Harlequin Halloween Costume. 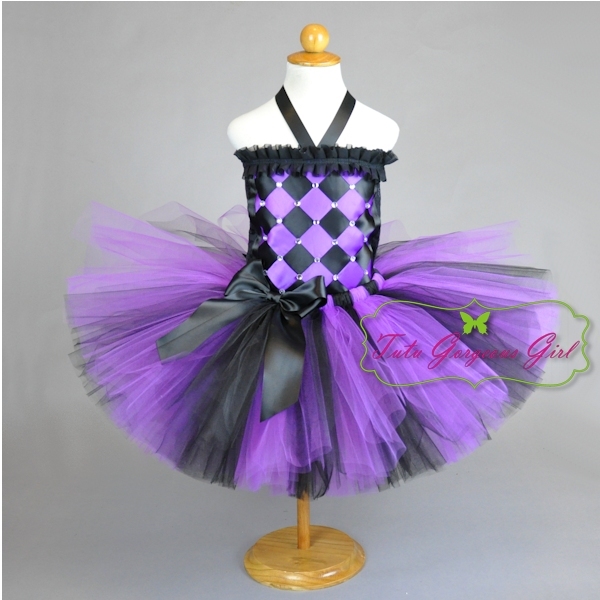 Black and purple girls diva birthday outfit. This stunning tutu set includes tutu with a satin bow at the waist, and a stretch black tube top with purple and black woven ribbon front. The front of the top is studded with rhinestones. For ages 1 - 12 years only. Please select your child's chest measurement in the drop down menu. Measure under the arms snug all the way around the chest. *Color changes are welcome (tulle and woven ribbons only). Please leave a message in your order notes if you would like to substitute colors.